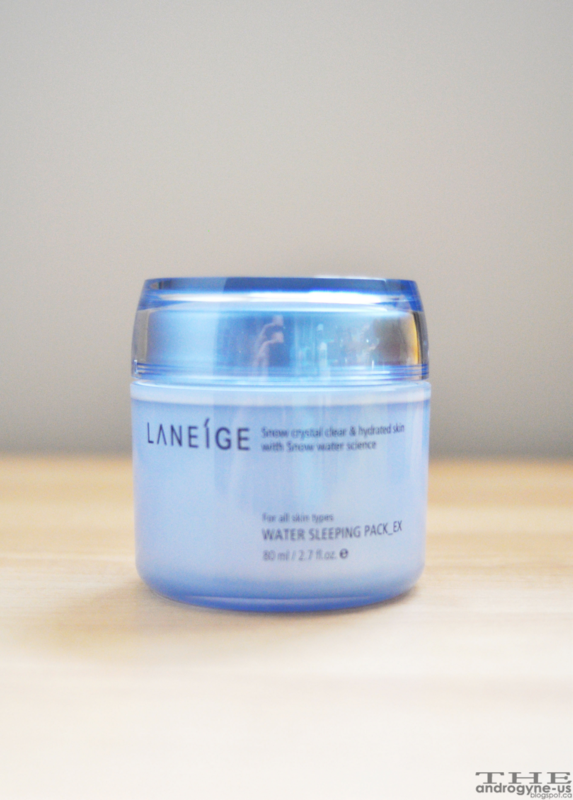 For those of you who have tired, dull, and dry skin...read on! 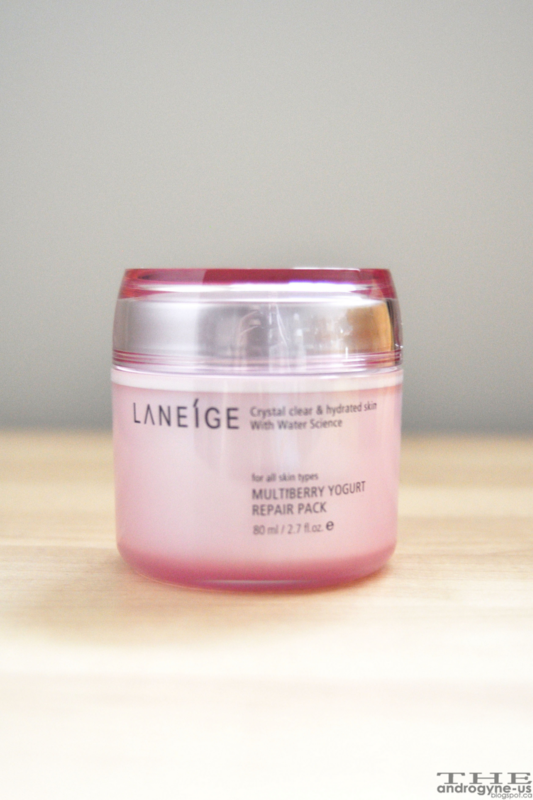 Laneige is a Korean brand much known for their moisture-retaining products such as these packs and others in their many lines. La neige in french literally means the snow and I remember reading about how they emphasized pure and natural skin. For reference, I have normal skin, but let me start off by saying, I would recommend these products to people of all skin types. The smell of this product is just amazing. The color is a faint baby pink and it smells lightly of a yogurt smoothie, so delicious! The gel contains tiny micro beads, which are great for exfoliating. I like this peel because it is not as harsh as other exfoliaters, yet it still does its job. Although I do have to say, I find it difficult for the microbeads to exfoliate areas such as the sides of my nose. How to use this: Apply on a clean, washed face (still wet) and rub in circular motions. Rinse off with warm water. Overall, if you are looking for a gentle exfoliating experience that has moisturizing effects...this is the one! I would rate this peel as a 4.5/5. I would say all three of these products have quite different textures. I am not sure if it is the illusion given off by the whiter cream, but this pack feels heavier as well. 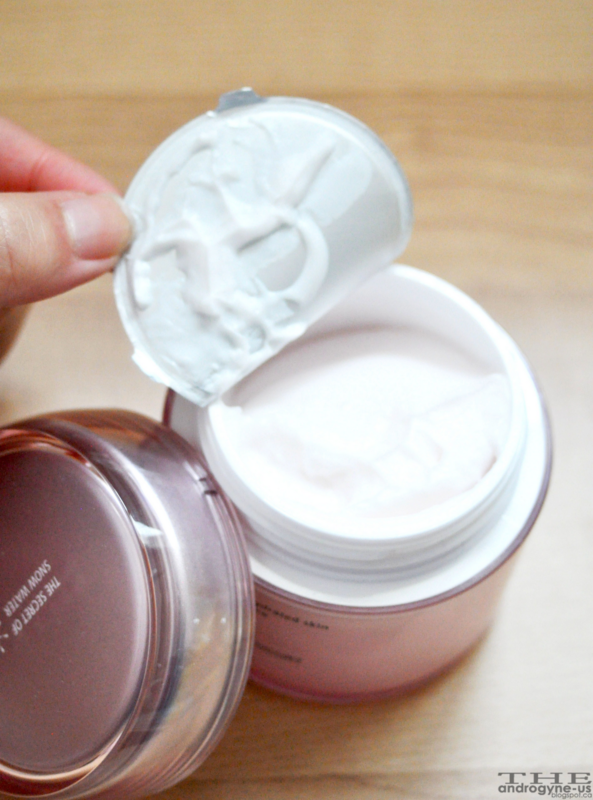 I typically use this one right after the Multiberry Yogurt Peeling Gel. 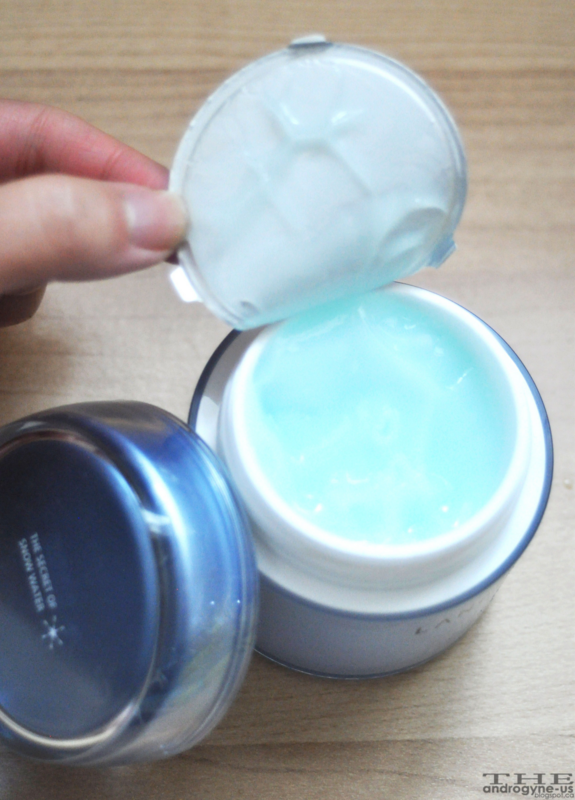 The texture of this is very smooth and quite a bit thicker than the peeling gel, but not by much. 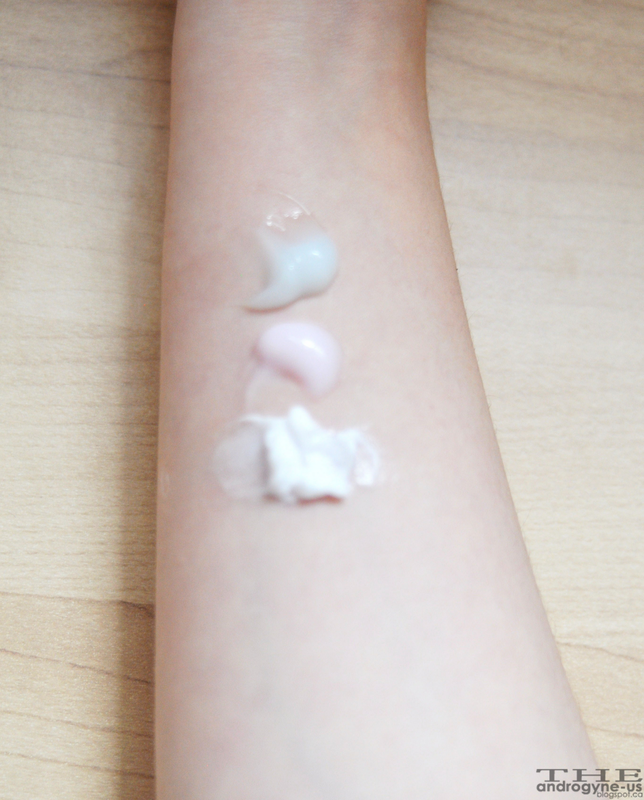 The scent is still pretty much just like the peeling gel but a bit stronger. How to use: After appling evenly with the included spatula, wait 10-15 minutes and rinse off. Overall, everytime after using this, my skin feels moist, supple, smooth, and it glows! I would definitely rate this mask a 5/5. This has been a much hyped product for awhile now. I was first introduced to this by Doris a couple year ago when she brought back some from Korea and gave me a bit to sample. I saw instant results when I woke up. I believe this is an award winning product in Asia as well. Overall, this has the most gel-like texture to it, and the colour is very close to a light baby blue. I would describe the scent of this product as fresh and light. When applied, this is extremely soothing, and takes awhile to become non-sticky. After you wake up in the morning and rinse the product off, your skin feels extremely moisturized, and from my experience, it gives off a youthful glow. I would rate this mask a 5/5 as well! Edmonton is an extremely dry city, with harsh winds especially in the winter! I highly suggest investing in these products if you want to keep your skin moisturized through the jarring winters or just to treat your skin. Laneige is a cosmetics and skincare line from Korea, but if you live in Edmonton like I do, you can find Laneige products and many other korean brands at a boutique called Umi & Co. Their address is 10462 82 Ave down Whyte. For those international folks out there, you can get them online over at Sasa and strawberryNET as well. I imagine a lot of you have probably heard much about these products already. 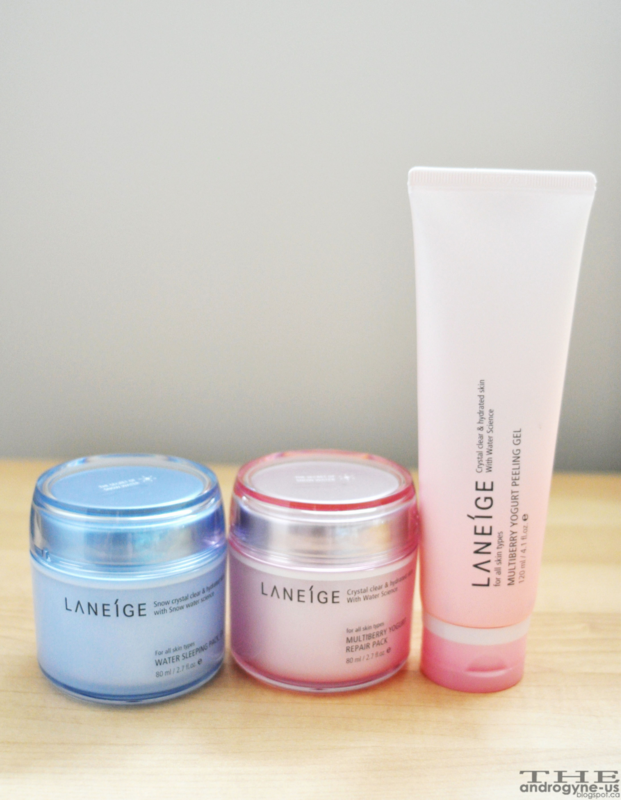 Which Laneige product do you like the most? Love your reviews on all three of these products! mind checking out my review on it multiberry pack?